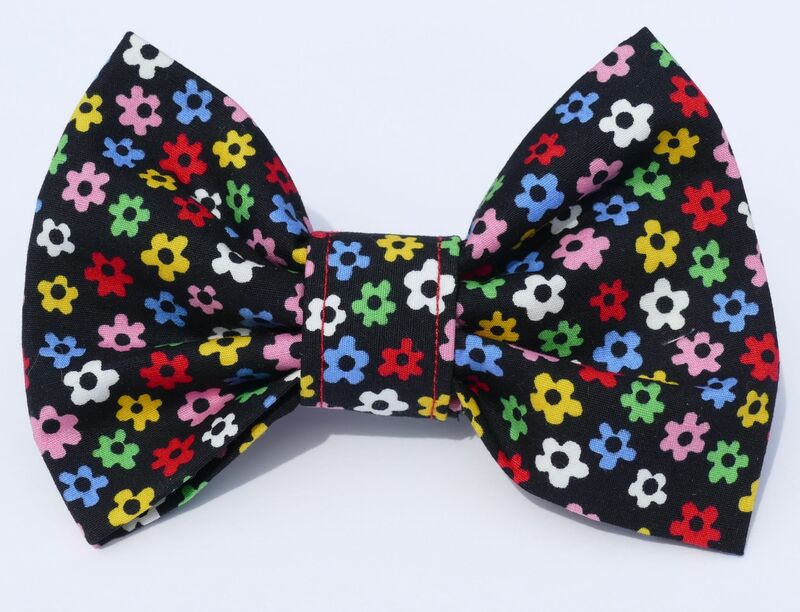 This is a lovely 100% cotton Ditsy Floral dog Bow Tie. 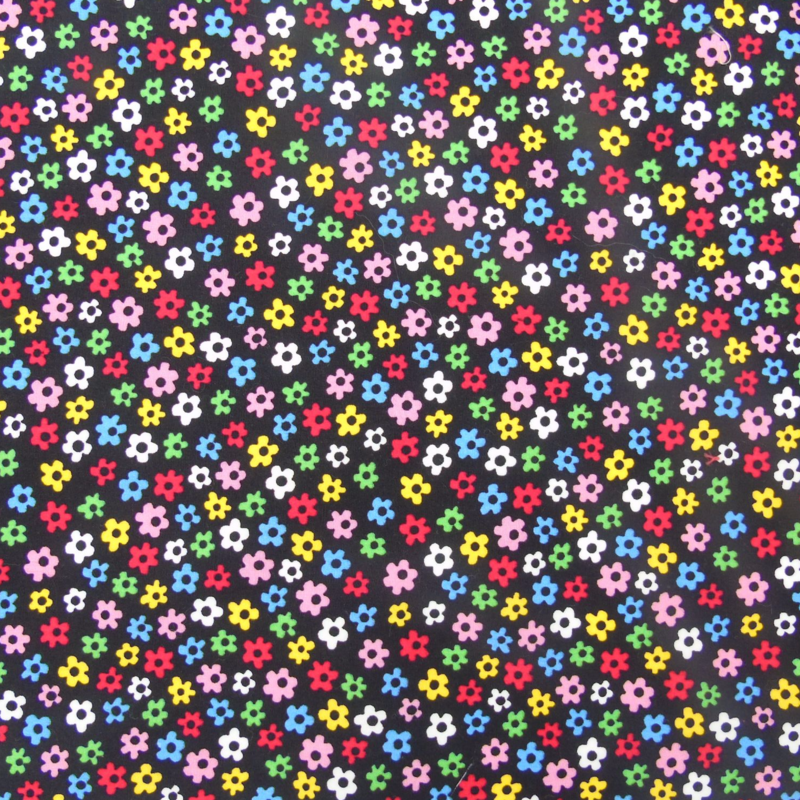 The background is black, with a beautiful print incorporating tiny ditsy flowers in lovely bright colours. Tiny prints like this one are particularly perfect for tiny dogs, as you'll see lots of the little flowers even on the smallest size of Bow-Tie.